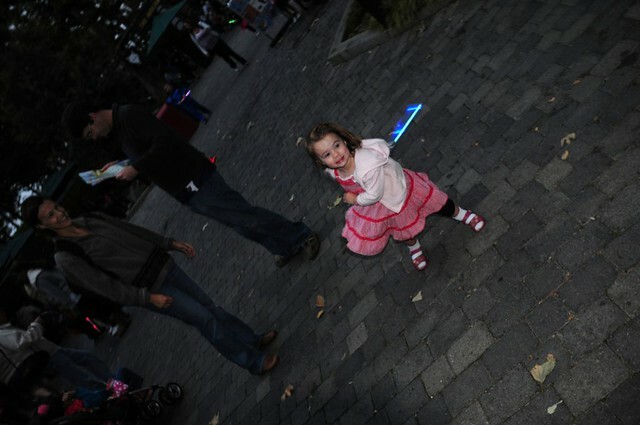 As you can see, she’s been practicing with her wand, which isn’t allowed. But we’ll let her get away with it a little. Grandma and Grandpa took us all to Legoland for the Fourth of July. This is the first time Abigail’s been old enough to appreciate fireworks, so she got to stay up late for them. Actually she got to do more than stay up late. She got to run around like a crazed little monkey having as much fun as I’ve ever seen her have and then sit down and watch things explode in the sky. 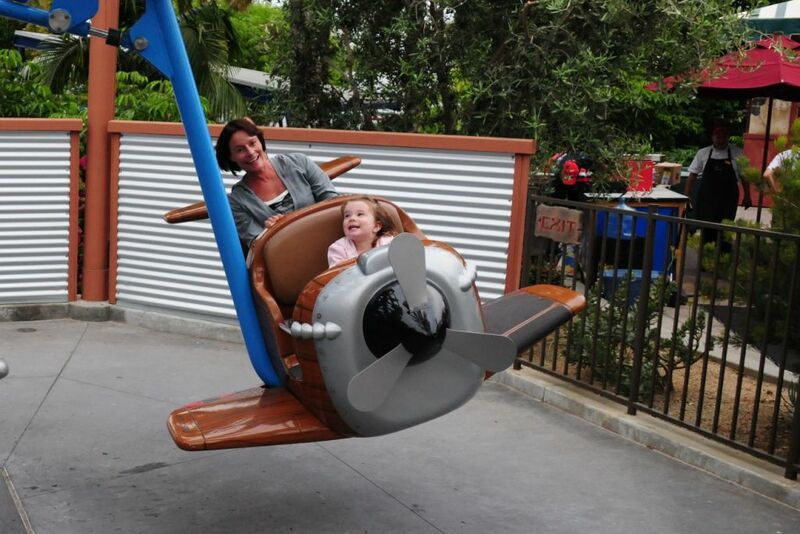 The rides are cool and all, but the play area at Legoland is like paradise on Earth for kids. If I had seen this place as a child, I would never have left. Heck, I had fun just running around with Abigail there. Naturally, I had to go down all the tube slides as well. No, really, I had to. When she got to the bottom, Abigail immediately started climbing back up. I served as the Abigail Drain-O that got her out of the way so that other kids could also use the slide. Or at the very least, so that other kids didn’t slide into her much harder than I did. In fact, I had to move so slowly that I was often completely stopped at the bottom. 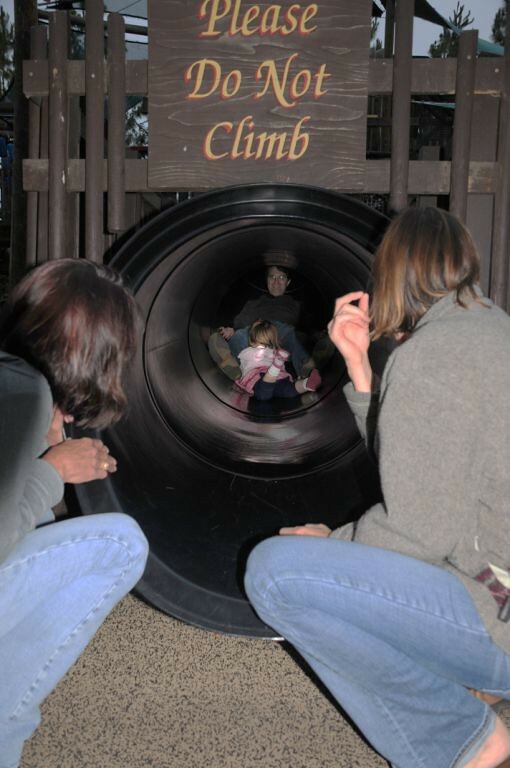 And since the big slide – naturally the one she preferred – had a long run out, I had to shimmy my way along the tunnel, pulling myself with heels and elbows before the next kid slid into my back. Abigail found this hilarious. It was hilarious. And it was one of the best times I’ve ever had on the Fourth of July. So without further ado, I give you a video of Abigail enjoying her first fireworks display, already jammied and cuddled up in Mama’s arms. 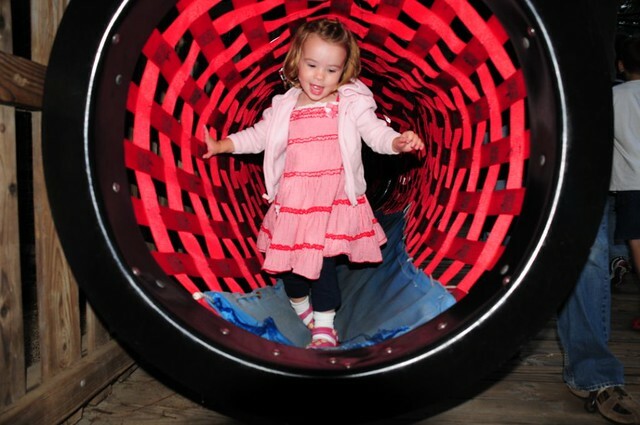 This entry was posted in Abigailia and tagged Independence, Legoland. Bookmark the permalink.